The Equine Management program is designed to give a broad base for any equine field and to transfer to a four-year program in Equine Science. There is no expectation that a student in the program will need a horse; thus, the Equine program fee is not applicable. This two-year transfer degree is designed to give students a foundation in equine science and the ability to apply that knowledge in a practical manner. Graduates will be prepared for a career in equine business and management, breeding, nutrition, and allied industries such as sales, feed, tack and equipment. The horse has served humanity for centuries in many different ways. Today, the horse serves primarily as a source of pleasure in technologically advanced nations, but it still serves as a beast of burden and for draft power in underdeveloped countries. This course will give the student an overview of equine health that will provide a basis for subsequent more practical and scientifically based courses. In this class, we will look at the evolution and behavior of the horse, the history of horsemanship, contemporary breeds and their uses, selection of an appropriate horse (including conformation and pre-purchase examinations), and insights into career avenues within the equine industry. This course will cover ideas in mathematics and their applications to other disciplines. Topics covered include ideas from set theory, logic, elementary statistics and probability, combinations, and permutations. This class is intended for students not expecting to enroll in additional math classes. Students who enter this class with lower than a grade of “B-” in the pre-requisite course will be required to enroll in NC 021 Supplemental Instruction/Academic Support for Mathematics, a regularly scheduled two hours per week of supplemental instruction and academic support where attendance and participation will be part of the student’s grade in M 105. Pre-requisite: M 090 Introductory Algebra or appropriate placement score. This course is a survey of the major developments of Western society from classical times through the Renaissance. Units covered include the early history of the Middle East, classical Greece and Rome, the Middle Ages, Christianity, and early modern Europe through the Renaissance. Social and cultural developments are an integral part of this course. This course will cover basic conformation while stressing the importance of form to desired function. 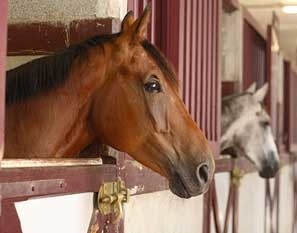 Co-requisite: EQUS 103 Horse Conformation and Selection Lab. The students will understand horse conformation and demonstrate selection skills through a judging format that includes giving written and verbal reasons. Students will also learn professional conduct at horse shows and other related equine events. Co-requisite: EQUS 102 Horse Conformation and Selection. This course is a review of the fundamental principles concerning plant and animal life. Covering topics on the structure and physiology of cells, genetics, reproduction and the diversity of life found in plants, animals, and microorganisms, including their ecological relationships. Co-requisite BIOB 102 Discover Biology Lab. The laboratory exercise will relate to the fundamental principles of biology discussed in BIOB 101 Discover Biology. Co-requisite BIOB 101 Discover Biology. This course is designed to be an overview of the form (anatomy) and function (physiology) of the normal body of common domestic animals. It will cover: digestion, circulation, production, reproduction and environment of common farm animals. This class is a core class in the Animal Science program and will provide an overview of the terminology of anatomy and insight in to how the healthy body functions. Lab will focus on hands-on application of ANSC 265 primarily through dissections. Pre-requisites: ANSC 100 Introduction to Animal Science and BIOB 101 Discovering Biology or BIOB 160 Principles of Living Systems or BIOB 170 Principles of Biological Diversity. Co-requisite: ANSC 266 Anatomy and Physiology of Domestic Animals Lab. This course is designed to be an overview of the form (anatomy) and function (physiology) of the normal body of common domestic animals. Lab will focus on hands-on application of ANSC 265. Co-requisite of ANSC 265 Anatomy and Physiology of Domestic Animals. This course is designed to teach the principles of feeding livestock including: digestive systems, nutrient requirements, nutrient characteristics, and sources utilized in the formulation of balanced rations. Demonstrate writing and mathematical skills for business application.